I have traveled extensively throughout France, both in my teens and my adulthood and I can honestly say that it is my favourite country in the world. Very much is said about the south of France with the Cote d’Azure, the Riviera and hotspots such as Cannes, Monaco and Monte Carlo, but for me, the heart of France lies in the north. If you’re planning to take a holiday to France this coming year, here are the best spots in the north of France, and why you should visit them. Sat on the Belgian border, this is a city which has a foot in both countries in terms of the influence which they have had on Lille. Despite its city status, this place feels more like a quaint town and here you’ll find cobbled stone streets, beautiful 16th Century architecture and Flemish touches seen throughout the city such as the beautiful smell of waffles which fill the air. This seaside town has gained fame over the years thanks to the fact that this quaint Normandy town has been painted by some of the great artists such as Monet and Courbet. You can set your eyes on this iconic destination when you visit and see for yourself the beautiful harbor with the old fishing houses and mazy streets which lead to the sea. This beautiful spot sits on a large bend of the River Seine and in actual fact it is an old settlement which sits at the base of a cliff, where you can find a chateau built into the side of it. You can visit the chateau as well as traveling just a few minutes away to find the house of Monet, which is still exactly how it was left before he died. The views are one of the biggest reasons to visit La Roche-Guyon and just walking around this area, it is easy to see why Monet chose this as his home. You simply mustn’t miss out on a trip to Amiens during your time in northern France. The key attraction here is the huge Gothic Cathedral, a UNESCO World Heritage site and the one of the biggest medieval churches in the world. This building is the heartbeat of the city and the surrounding streets is where you’ll find all of the action taking place, both day and night. Amiens is a beautiful place and the cathedral is a place which you mustn’t miss out on. If there is any destination in northern France which offers those stereotypical images of the French countryside, it is the surrounding area of Lyons-la-Forêt. Away from the beautiful countryside, this small town offers all of the rural and classic French features which one would expect, old timber buildings, bandstands and open markets each day. Visiting Lyons-la-Forêt is like stepping back in time and witnessing the true culture of vintage France. 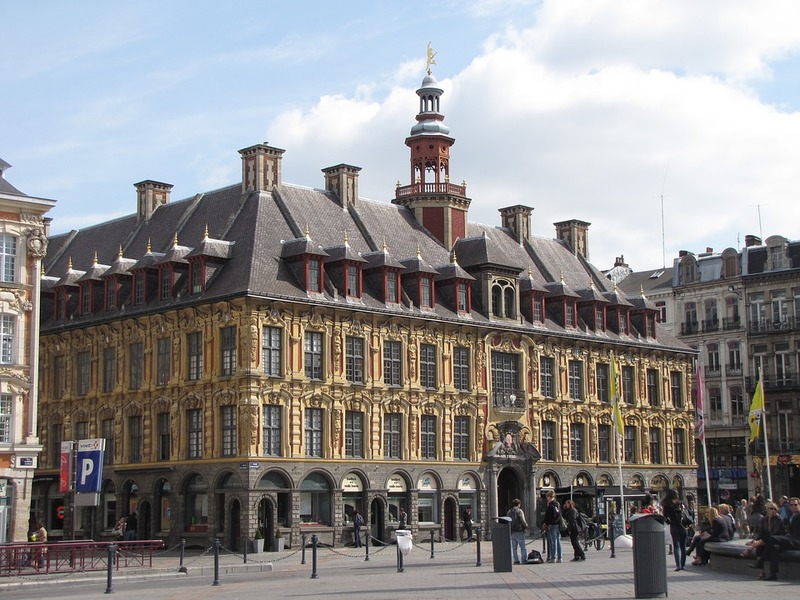 Which are your favourite spots in northern France? Let us know in the comments below.